Here is the novel which has inspired countless imitations by lesser writers, none of which equal the power and originality of Defoe's famous book. 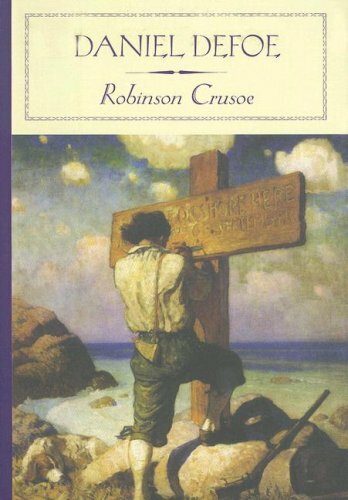 Robinson Crusoe, set ashore on an island after a terrible storm at sea, is forced to make do with only a knife, some tobacco, and a pipe. He learns how to build a canoe, make bread, and endure endless solitude. That is, until, twenty-four years later, when he confronts another human being.